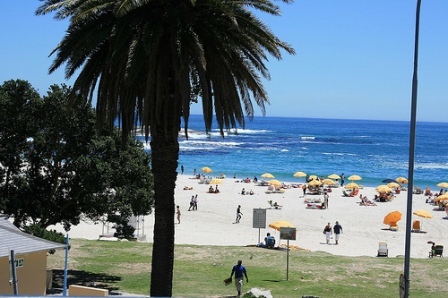 Camps Bay is a trendy village, ten minutes from the centre of Cape Town. The beach is safe, clean and family friendly and it's easy to see why it was awarded Blue Flag status. 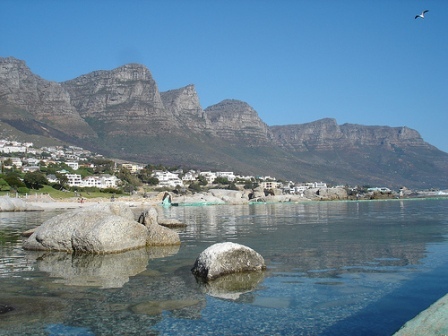 Set against the Twelve Apostles Mountain Range, it is one of Cape Town’s most beautiful beaches. The long stretch of beach, backed by a row of palm trees, is popular for sunbathing and all kinds of beach sport. The open flatness of the beach plays hosts to numerous events like the international beach volleyball tournament and the popular Summer Beach Festival. Lifeguards are on duty during the summer and beach vendors stroll about supplying ice creams and cold drinks. If you have young kids grab a spot on the lawn next to the tidal pool where children can swim safely. In the evening residents and holiday makers can be found enjoying sundowners at the many trendy sidewalk cafés and restaurants on the beachfront, enjoying a spectacular sunset. If you’re feeling energetic, there’s a great walk to neighbouring Glen Beach, a stunning little cove with good surf. 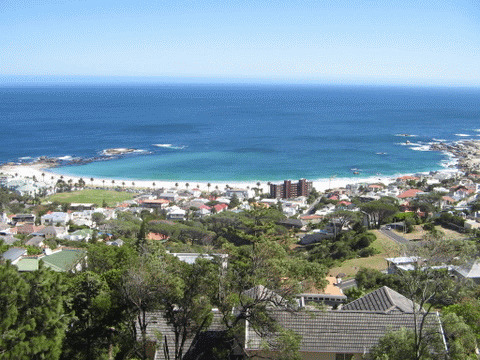 From there you can stroll past Maiden's Cove, Bachelor's Cove and finally to Clifton 4th Beach. Take Victoria Road for a brisk walk back to where you started. Follow Victoria Road from Camps Bay along the coast to Sea Point. Take the steps down to Clifton 1st beach and walk along till 4th beach. Climb the stairs back to Victoria Rd and continue along the road towards Sea Point. Take your first road left down to the sea and meet up with the beginning of the Sea Point promenade. If you follow the sea you will ultimately end up at the V&A Waterfront. 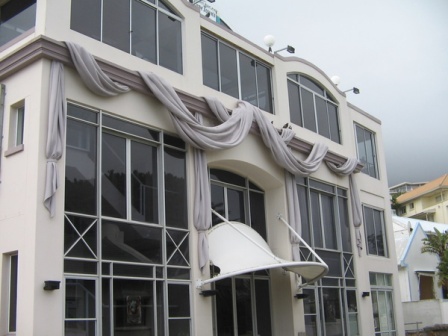 Not only does this intimate theatre host the best shows in town, it is also home to the Act I Theatre Café. This fabulous restaurant is open for dinner both before and after the show, and the small, diverse menu is changed seasonally. 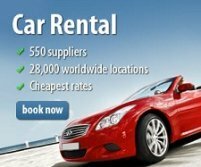 Return from Camps Bay page to Homepage.